Synopsis: Every preschooler will relate to this empowering text that is fun to both hear and say. In a durable big-kid format (POB with light cardstock pages), with bright and active illustrations that celebrate a happy place where kids learn to love school. 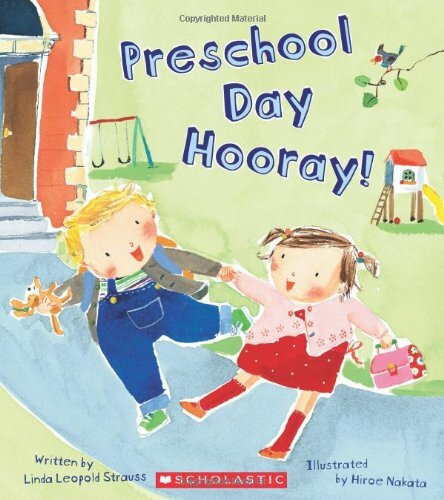 Add this book to your collection: Preschool Day Hooray! 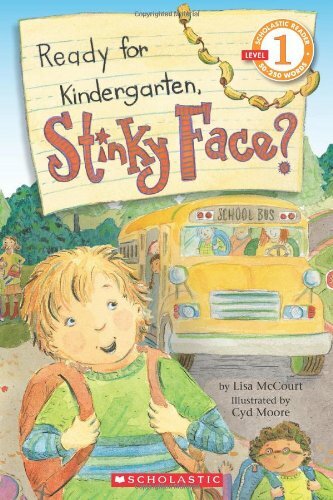 Synopsis: It’s time to go to kindergarten, but Stinky Face has a question . . .
As the situations grow stranger, Stinky Face’s mama always has just the right answer to make him feel better. With Lisa McCourt’s zany ideas and Cyd Moore’s motion-filled illustrations, this reader is sure to make every worried kindergartner-to-be a little less nervous. 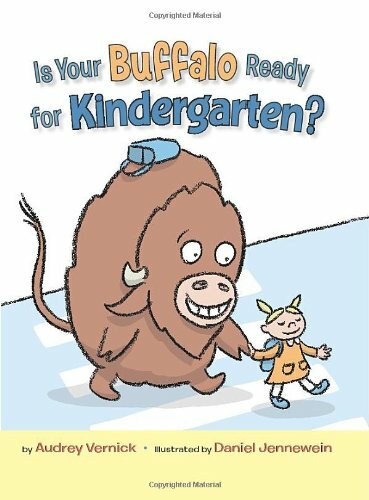 Add this book to your collection: Is Your Buffalo Ready for Kindergarten? 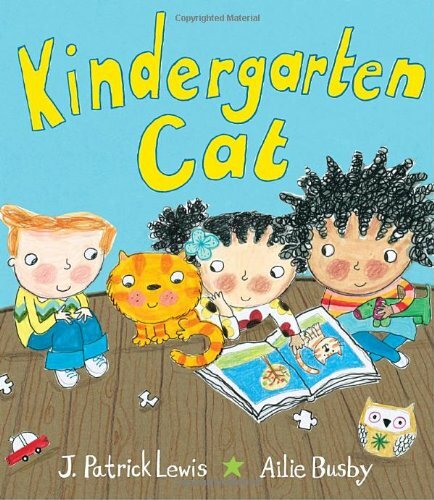 Synopsis: Here’s the purr-fect read-aloud for kindergarteners! J. Patrick Lewis is one of the most renowned children’s poets writing today, and he has created a real gem. His simple rhyming text demands to be read aloud—and the large type and bright, irresistible illustrations by Ailie Busby make this a fantastic book for story time in classrooms and libraries. Synopsis: How much is 1+1? Think the answer is 2? Not always, as this playful approach to addition proves! 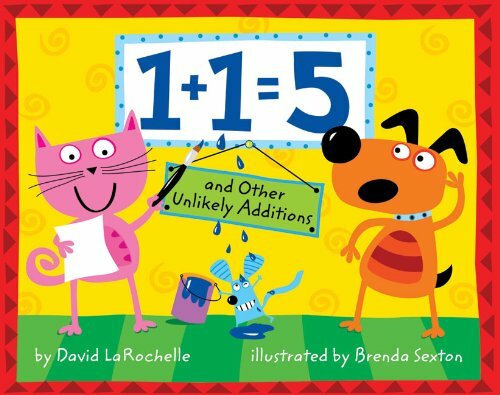 David LaRochelle takes children on a joyful mathematical journey that will engage their minds and teach them to think about numbers in a creative, outside-the-box way. Synopsis: In his witty letters (sometimes half-eaten by crocodiles) Michael explains that he really wants to come to school but the Secret Service has recruited him to rescue a lost explorer on Mount Everest. His adventures continue from there to include a treasure map, a pirate king, and a rocket to the moon on a mission for NASA. But Michael gets a surprise when he receives his teacher’s clever response to his letters. The unique envelope closure for the book completes the package! 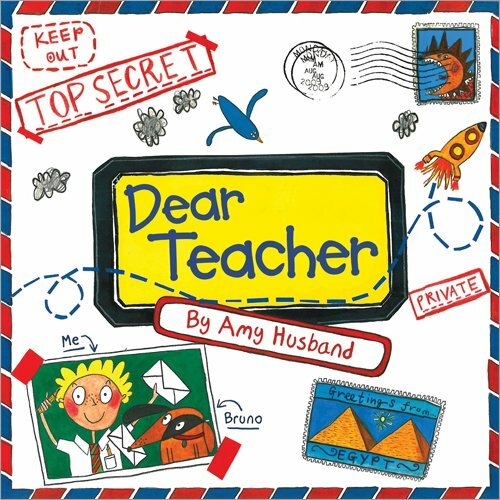 Originally published in the UK, Dear Teacher has been shortlisted for both the 2010 Cambridgeshire “Read it Again!” Children’s Book Awards and the 2010 Sheffield Children’s Book Award, both child-selected awards. Synopsis: The second book in a humorous, award-winning series about a boy and his pet fly is now available as a Level 2 reader! Have you heard the buzz? 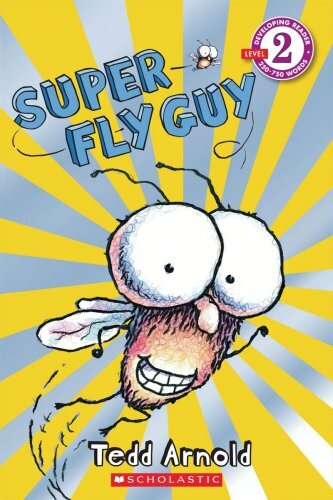 The first book in the Fly Guy series, Hi! Fly Guy, is a Theodor Seuss Geisel honor book. 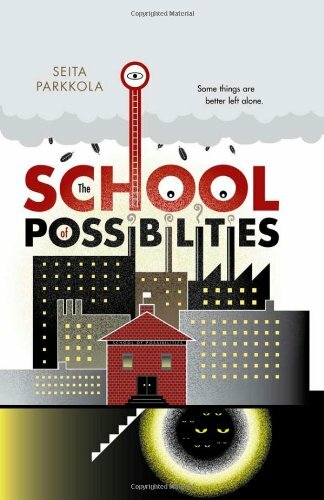 Synopsis: Here’s a chapter book with all the kid appeal and absurd mayhem of Louis Sachar’s classic Sideways Stories from Wayside School! 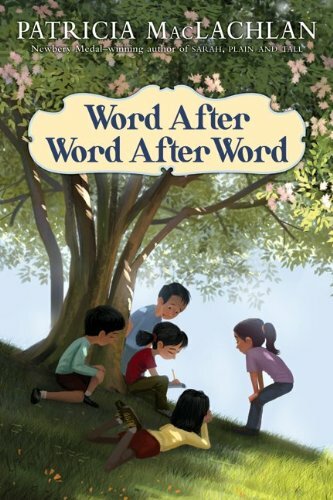 These hilarious fables, complete with morals, will make you wish you went to Aesop Elementary. Welcome back to Mr. Jupiter’s inimitable class at Aesop Elementary. His rambunctious, special students are fifth graders now . . . and they rule the school! Bernadette Braggadoccio stirs things up when her probing investigative reporting for the school’s TV station reveals some scandalous stuff. But . . . don’t believe everything you hear. Is that new art teacher really a crazy lady with zillions of cats, or could there be more to this story? For their last year at Aesop, the fifth graders are hoping for the coolest class pet—a unicorn, a pink-headed duck, or at least a giant squid. Imagine their disappointment when they get guinea pigs. But . . . appearances can be deceiving. These guinea pigs have some very unusual traits. So whether readers knew Mr. Jupiter’s class back in fourth grade or are new to Aesop Elementary, they’ll be chomping at the bit to join these fabled fifth graders for the zaniest school year ever. 4. A runaway mom who has no phone! 1/2. 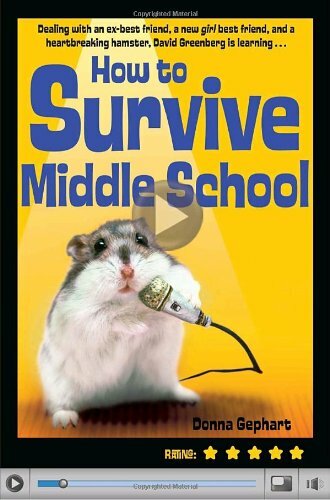 Did we mention Hammy, the hamster who’s determined to break David’s heart? When David and his best friend have a fight, David is lucky enough to make a pretty cool new friend, Sophie–who just (gulp) happens to be a girl. Sophie thinks David’s videos are hilarious, and she starts sending out the links to everyone she knows. Sophie’s friends tell their friends, and before David knows it, thousands of people are viewing his videos–including some of the last people he would have expected. David may still feel like a real-life schmo, but is he ready to become an Internet superstar? 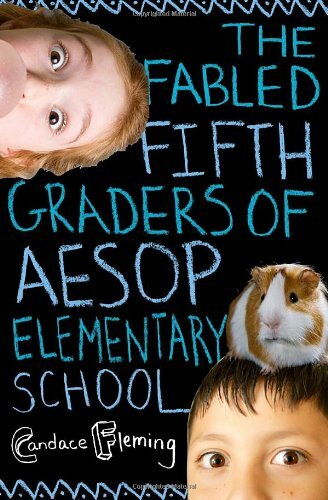 Synopsis: Every school day feels the same for fourth graders Lucy and Henry and Evie and Russell and May. Then Ms. Mirabel comes to their class—bringing magical words and a whole new way of seeing and understanding. 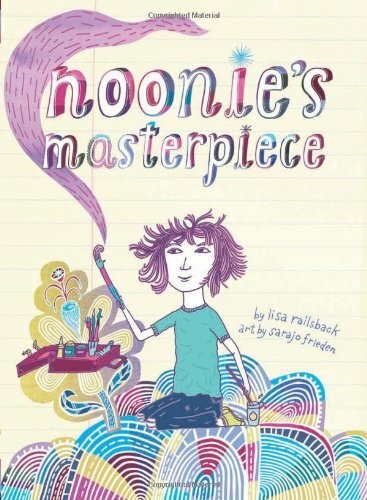 Synopsis: Fantastic illustrations with a fresh, contemporary look enrich this debut novel about a 10-year-old aspiring artist stuck living with an aunt, uncle, and cousin who clearly don’t recognize her genius. A humorous and heartfelt reminder that “a brilliant artist is never afraid,” this book reveals that sometimes our greatest masterpieces are the bonds we unexpectedly forge with the people in our lives. 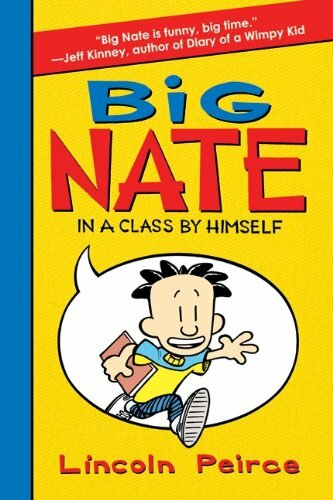 Synopsis: Big Nate is in a class by himself! But things don’t always go your way just because you’re awesome. Nate barely survives his dad’s toxic oatmeal before rushing off to school—minus his lunch. Nate keeps his cool. He knows he’s destined for greatness. A fortune cookie told him so. 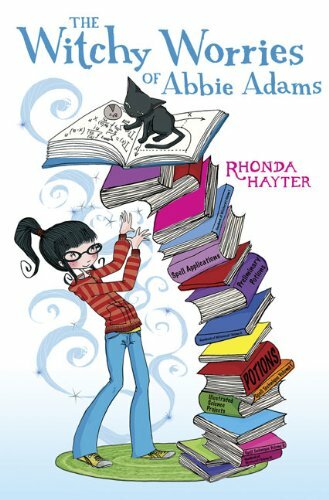 Synopsis: Abbie Adams and her family come from a long line of witches, and she’s having a tough time keeping it a secret from her best friend and the rest of her school. Especially the day her little brother morphs into a wolf and tries to eat his teacher. That’s also the day her father brings home a kitten. Abbie’s been begging for a cat for months, and she falls in love with that fluffy fuzzball right away. But there’s something peculiar about this kitten, and it just might take a witch like Abbie to figure out what it is. Synopsis: Storm is being forced to attend the School of Possibilities for troubled youth. But Storm notices that something strange is going on at his new school. The students are not…normal. Soon he’s being spied on, followed by classmates-and worst of all, forced to accept the headmaster’s perfectly behaved daughter as his girlfriend. He can feel himself becoming more obedient, more like his classmates. Storm tries to resist, but he doesn’t understand how or why the school is controlling him. Can Storm escape-or will he be turned into a zombie of “good” behavior like everyone else around him? Synopsis: Maximize your classroom productivity with management techniques that enhance student learning and achievement. 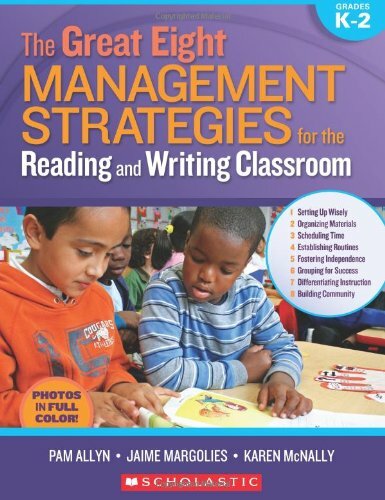 Full-color photographs from veteran teachers Pam Allyn, Jaime Margolies, and Karen McNally showcase eight easy-to-implement management strategies and dozens of innovative, practical ideas, each accompanied by the authors’ explicit, easy-to-follow instructions. From arranging furniture and creating kid-friendly storage space to designing flexible teaching areas and planning schedules, the authors show teachers how to create a highly productive classroom environment. They also describe classroom-tested routines for reading and writing instruction—whole class, small group, and independent practice—including the read-aloud, spelling and word work, and across-the-curriculum integration. Their beautiful photographs and practical solutions to everyday challenges will inform and inspire all year long! For use with Grades K–2. Leave us a comment: Which book is your favorite back-to-school read? Or, for all you teachers, tell us about your favorite classroom read?